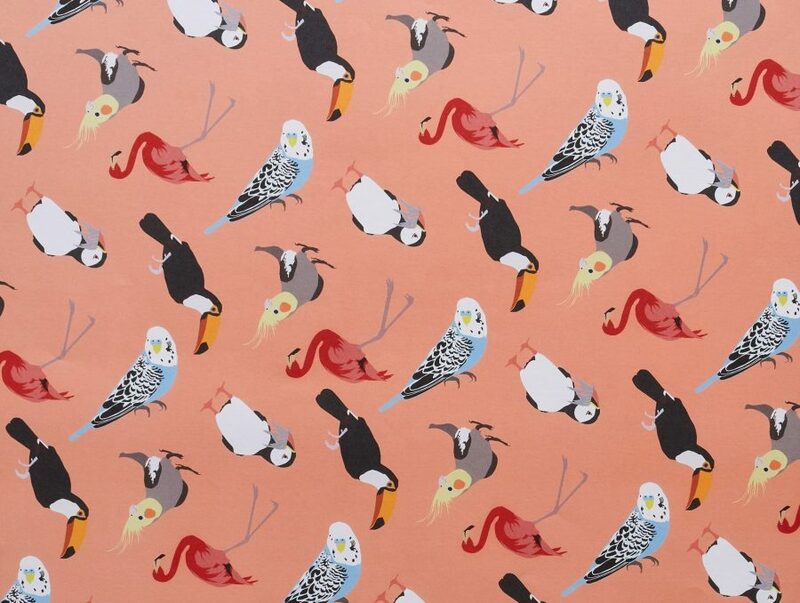 Printed in the UK on high quality paper. Will be folded to A4 size for posting. 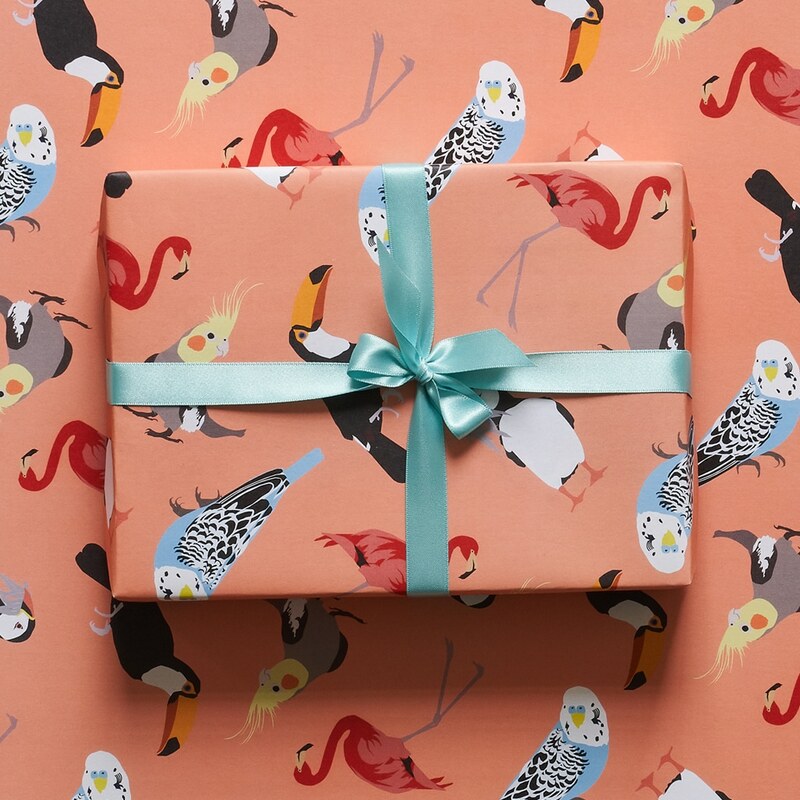 The Bird Watching wrapping paper is a firm favourite with bird fans and features many of Lorna’s most popular tropical birds. 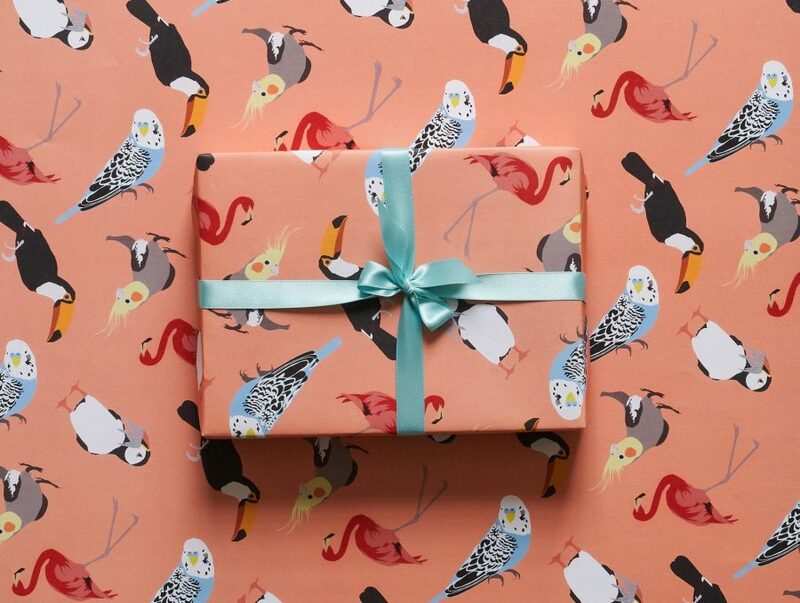 Paired with a bright orange background, this bird print makes for the perfect birthday gift wrap!